More than half of the adult U.S. population has one or more chronic conditions1. In order to combat this alarming statistic, there are various ACA provisions that incentivize patient management, including provider reimbursement opportunities or federal support for disease management programs. Programs and incentives are important enablers, but the key to active chronic disease management is patient engagement and adherence. As we consider population health, chronic diseases pose both a great risk from a cost perspective, but also an opportunity to leverage technology to provide information that empowers patients to make better decisions. 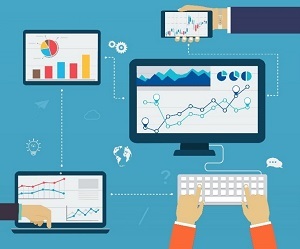 A combination of advances in mobile technology, a proliferation of mobile devices and a healthy appetite for health-based data has created a market for tools that help drive engagement and adherence. An example of one such area is diabetes management. Today, diabetes is one of the fastest growing chronic diseases in the United States, affecting nearly 30 million people. Further exacerbating the problem is the fact that almost 89 million people are pre-diabetic with 9 in 10 not even knowing2. According to the American Diabetes Association, $1 in $5 health care dollars are spent caring for people with diabetes, with the estimated cost for diabetes and pre-diabetes around $300B3. Though diabetes cannot be cured, certain lifestyle adjustments and diligent monitoring can certainly help manage the condition. 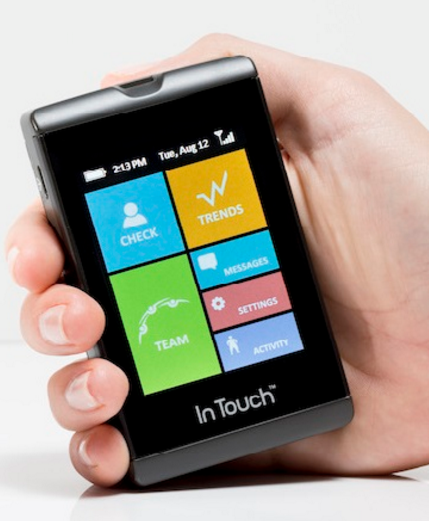 Given the market need and the backing of the ACA, several companies have emerged with innovative approaches to leverage technology in order to increase diabetes patient engagement and adherence. Let’s take a look at Omada Health, Livongo and One Drop. Omada Health is a digital behavioral management company that combines a curriculum, coaching, and support groups focused on chronic condition prevention. Omada has over 45,000 enrolled patients4, making it the nation’s largest federally-recognized provider of diabetes prevention programs. As of September 2015, Omada received about $76M in funding5. Prevent is Omada’s online diabetes prevention coaching program which uses a mix of behavioral science, user design, and human interaction. This program grew out of a National Institutes of Health study that highlighted how diet and exercise could decrease chances of becoming diabetic. Combining insights from the NIH study along with wireless tracking devices, Omada boasts an online platform where individuals can interact with a personal health coach and peer group on a daily basis. In 2016, Fortune reported that nearly 65% of Prevent program participants are still engaged with the program at 12 months4. Livongo is very popular amongst large employers as an alternative to traditional disease management programs. 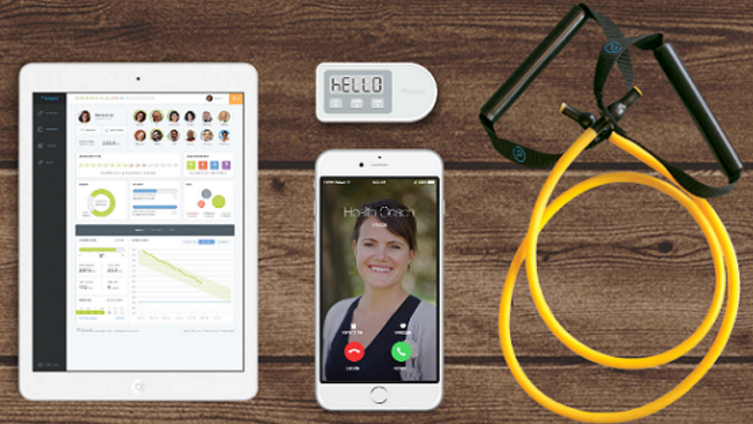 Livongo uses data-driven technology to provide real-time personalized insights along with coaching and support to individuals. As of April 2016, Livongo received about $90M in funding6.Through an FDA-approved touch screen meter including a pedometer, Livongo enables information to be synced via a smart cloud. In certain cases, a Certified Diabetes Educator could be alerted to contact an individual immediately to provide help. The company was an early disruptor that diminished the need for expensive test strips as well as directly integrated testing into care and research. According to PR NewsWire, Livongo members were more likely to remain within the ADA’s target blood sugar range and achieved sustained improvement over the course of a year7. One Drop, a younger start-up, uses a combination of a meter, phone, and data science to help people log daily activities and understand how they impact glucose levels. One Drop tries to differentiate itself by changing the narrative of being diabetic and introducing a sleek stick-style meter that connects to an app. One Drop’s mobile platform enables shared learnings from data on blood sugar trends by making all information open and shareable. Additionally, One Drop offers an affordable subscription service for diabetes supplies, similar to the disposable shaving supply model. One Drop, however, is behind Omada and Livongo with only $8M in funding as of June 20158. 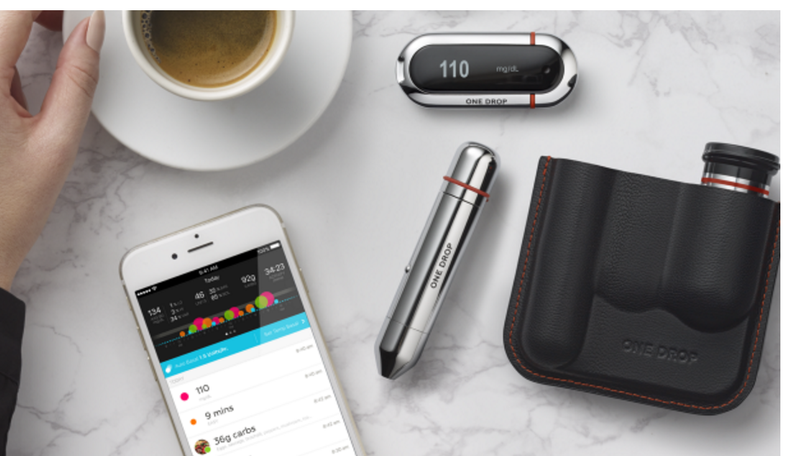 Since One Drop’s blood glucose meter has not been FDA-approved yet, it is too early to determine if this model is successful. All three companies represent solutions we believe can both enhance current care coordination strategies and if needed, be tailored to the underserved population where unchecked chronic diseases can have especially devastating effects. Executing complex care coordination well is crucial to success for value-based healthcare systems such as ACOs, integrated delivery systems or any provider looking to take on additional risk over populations. In all downside risk-bearing scenarios, providers and systems will be expected to control utilization and improve outcomes or else they will have to bear the cost of utilization from a poorly managed population. It is clear from CMS that it hopes to eventually move toward downside risk arrangements for all providers (not just systems) based on recent regulations such as the Medicare Access and CHIP Reauthorization Act. Diabetes is a chronic condition that can be effectively managed in the outpatient setting given the right tools and navigation – eventually leading to reduced admissions, readmissions and other costs for this population. With digital solutions, patients not only have better care experiences, but the solution also facilitates the real-time collaboration between patient and provider. Such collaboration not only leads to more engagement but also allows providers to better manage at-risk populations. Rather than treat patients downstream, providers are able to proactively coach their patients to curb unhealthy habits. Should a patient begin to falter in adherence, providers are immediately alerted via seamlessly transmitted health data. Early detection affords providers the ability to trigger support structures that can ease patients back to healthier habits. These benefits have not gone unnoticed as payors are being drawn to the market. The technology and workflow has attracted the attention of large payors looking to further support accountable care initiatives. Humana, as a nod to mobile health’s potential to influence chronic disease, recently announced9 a strategic investment in Livongo. The announcement highlights a trend in the payer industry to support digital solutions that empower better self-management. Omada’s Prevent program also serves as a useful tool for major population health initiatives. The company’s program not only functions well under commercial offerings, but has a solid approach for supporting the Medicaid population. Omada will work closely with Safety Net providers to have their physicians refer patients into the Prevent program based on blood glucose levels. The company also offers direct member outreach and has a robust marketing campaign to educate doctors on the benefits of the Prevent program. Omada’s intervention costs $43010 per participant and studies have shown that DPP lifestyle interventions such as Prevent produce an average saving of $2,277 per participant over two years. This represents potentially substantial savings given the high prevalence of pre-diabetes in the United States. Though these three companies represent a small slice of the world of diabetes management, they nonetheless offer tools and services that strengthen care coordination and population health management strategies. More importantly, these programs empower individuals to take control of their chronic conditions. A newfound appetite for design and data has enabled innovative thinking and created a market for tools that drive engagement and adherence. Increased use of these tools will only further the effectiveness of public health efforts that not only lead to positive outcomes but also lower health care costs.